Netflix had launched an offline viewing feature around two years ago that enables users to download movies and shows. But now, it is making the download feature 'smarter' and more binge-friendly. 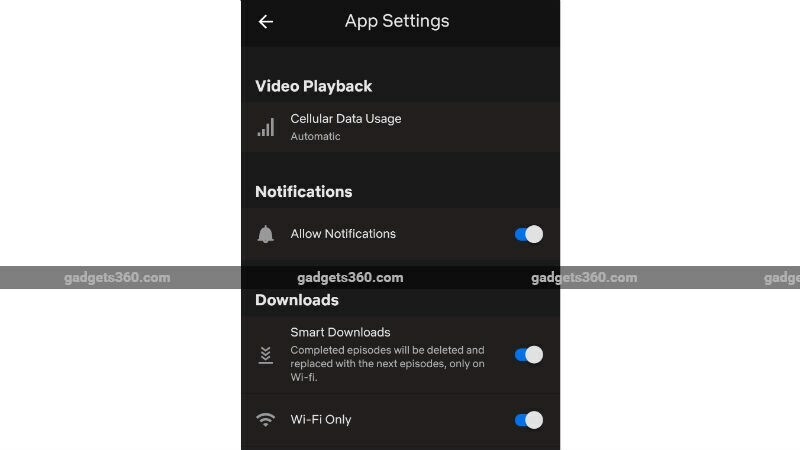 With the new 'Smart Downloads' feature, Netflix will delete the episodes that you have already viewed and then download the next episode once your device is connected to Wi-Fi. Notably, the new feature is initially available only on Android devices, and is aimed at episodic series, not movies or specials. It will make it to iOS devices some time in the future. The latest feature is an evolution of Netflix's mobile experience, which has grown in popularity since its first app launch in 2010. With the new Smart Downloads feature, the Netflix app will automatically detect when you have completed watching an episode. It will then remove it from your device and automatically download the next episode. Notably, you can also have multiple episodes of a series downloaded at a time, but remember that it will not download the entire seasons. "We know how annoying it can be to go through all your apps and delete files you no longer need; we also understand that when it comes to Netflix, the faster you can get to the next episode you want to watch, the better. Whether it is smart downloading or viewing a mobile preview, we realize the best part of Netflix is connecting with the stories you will love in an easier and more fun way," said Cameron Johnson, Director of Product Innovation, Netflix, in a statement. To know how the new Smart Downloads feature works, here is an example - If you have downloaded episodes 1, 2, and 3 of a show, and you finish watching episode 1, the Netflix app will automatically delete episode 1 and download episode 4. If you want to re-watch old episodes and keep them in your downloads, you can also choose to switch off the Smart Downloads feature. To do this from the Downloads section, just tap the Downloads icon, and from the top of the My Downloads section, select Smart Downloads. Here, use the toggle to turn Smart Downloads off. You can also turn it on and off from settings - tap the Menu icon and scroll down and select App Settings. Under the Downloads section, use the toggle to turn Smart Downloads off. The Netflix Smart Downloads feature is an automatic refresh feature is optional. "We also want to emphasize that giving consumers more control over their entertainment experience is at the heart of everything we do," Johnson said. As mentioned, the Smart Downloads feature is initially available on Android phones and tablets starting July 10. However, the streaming giant has not informed exactly how much of the content on its platform is available for download. In general, Netflix does not have the rights for offline viewing of every show. The Smart Downloads feature only turns on when you are connected to the Wi-Fi, so your data plan will not be used. It also will not impact your device storage, because it will always delete the last watched episode before downloading the next one.